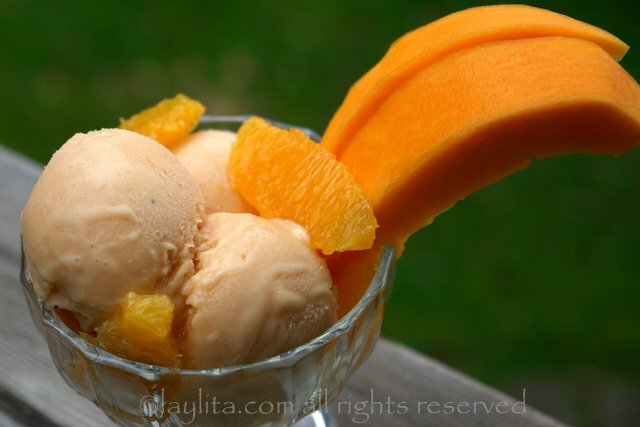 This recipe for homemade papaya and banana frozen yogurt is made with fresh papayas, bananas, honey, orange juice, and yogurt. 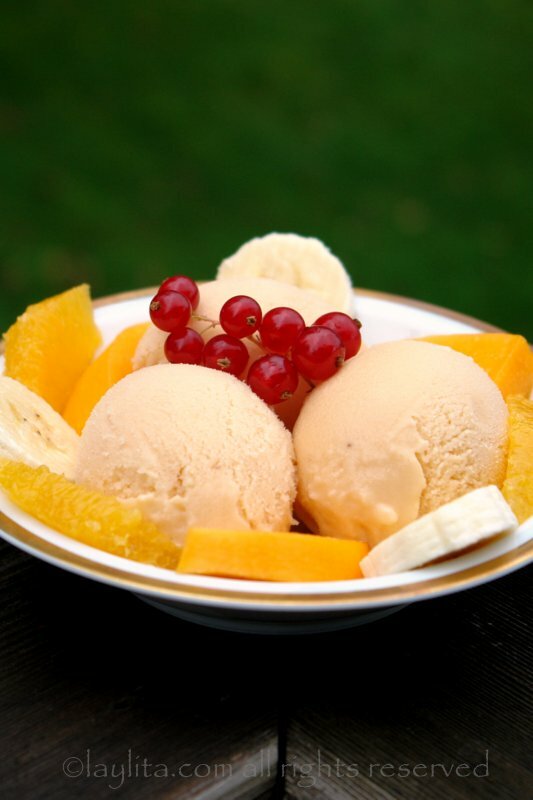 This fruity frozen yogurt can be made using an ice cream maker, mixer or blender. 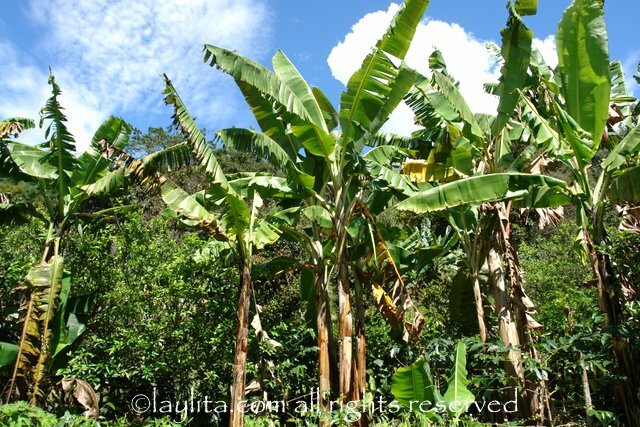 We had banana and papaya trees growing everywhere on our farm when I was a kid in Ecuador, so it’s only natural that my mom would make us batidos or smoothies with papaya and bananas. 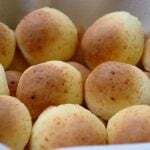 Sometimes she would use fruit juice, like passion fruit, orange or naranjilla (lulo), for the liquid part, and other times she would also add yogurt. 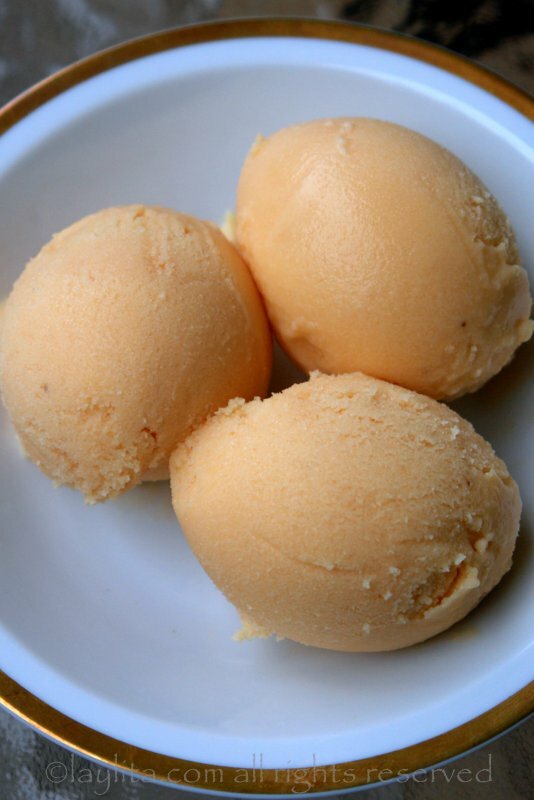 This papaya and banana frozen yogurt is essentially the ice cream version of my mom’s papaya and banana batido. 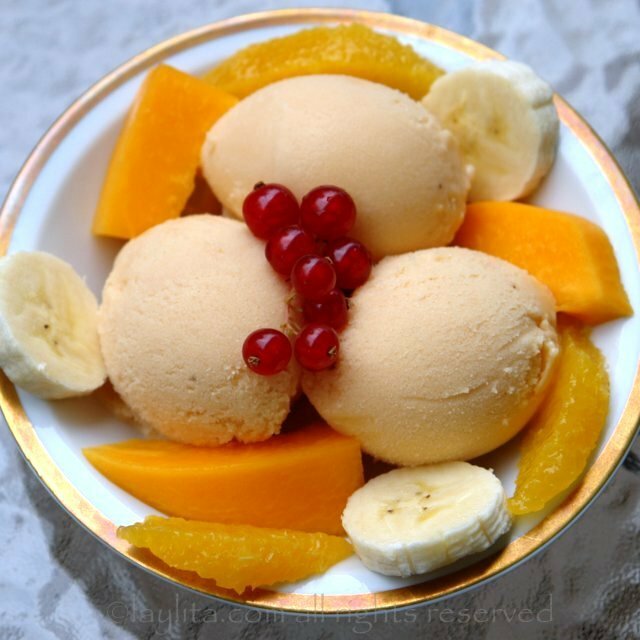 Homemade papaya and banana frozen yogurt recipe made with fresh papayas, bananas, honey, orange juice, and yogurt. This frozen treat can be made using an ice cream maker, mixer or blender. 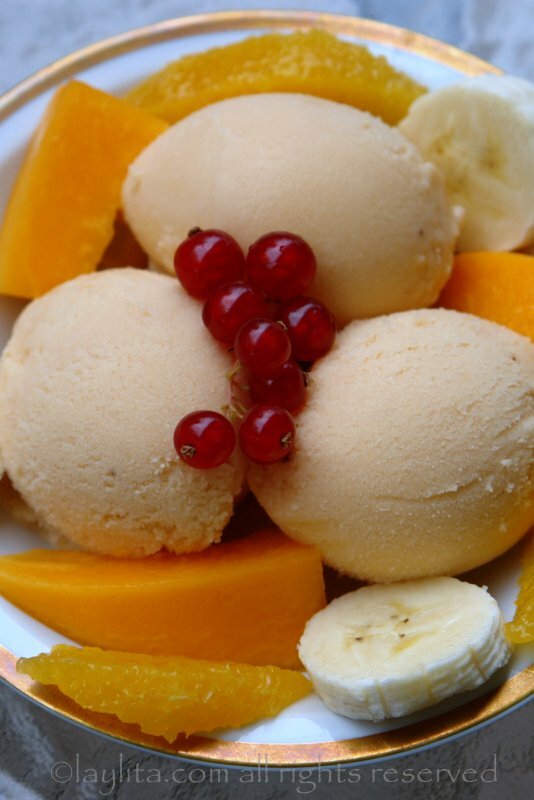 To prepare the frozen yogurt without an ice cream maker, place the papaya and banana yogurt mix in plastic or metal freezer friendly container and freeze for 1 hour. It should be semi-frozen, but still somewhat soft. 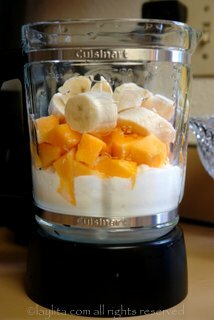 Remove from the freezer and use an electric mixer to soften the mix or place it in the blender and mix (make sure your blender is powerful enough to blend frozen foods). Return to the freezer and let rest for another hour, then repeat the process for 3-4 times or until you’ve achieved the desired smoothness. Let the frozen yogurt “ripen” in the freezer for a couple of hours before serving. 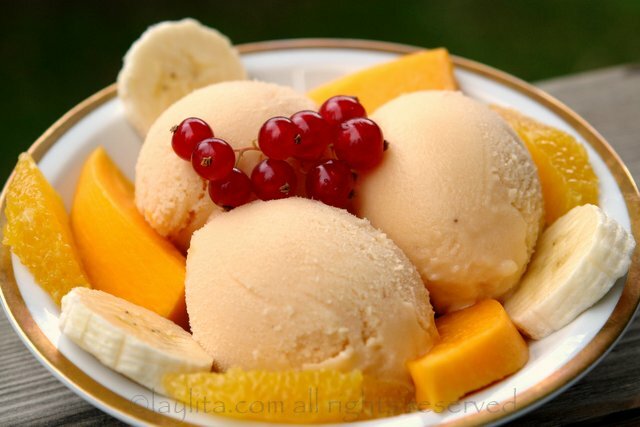 Serve the papaya and banana frozen yogurt with slices of fresh fruit. 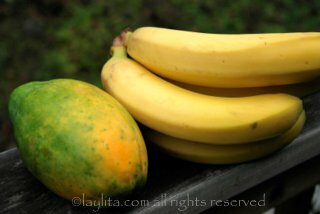 I personally find that both papayas and bananas are very sweet, though when mixed with the plain yogurt they need a little additional sweetness. I prefer to use honey since its flavor goes great with yogurt and papaya. Papaya also benefits from having a little citrus added to it. 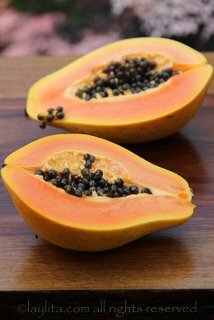 One of my favorite ways to eat papaya is just plain with freshly squeezed lemon or lime juice and a drizzle of honey. 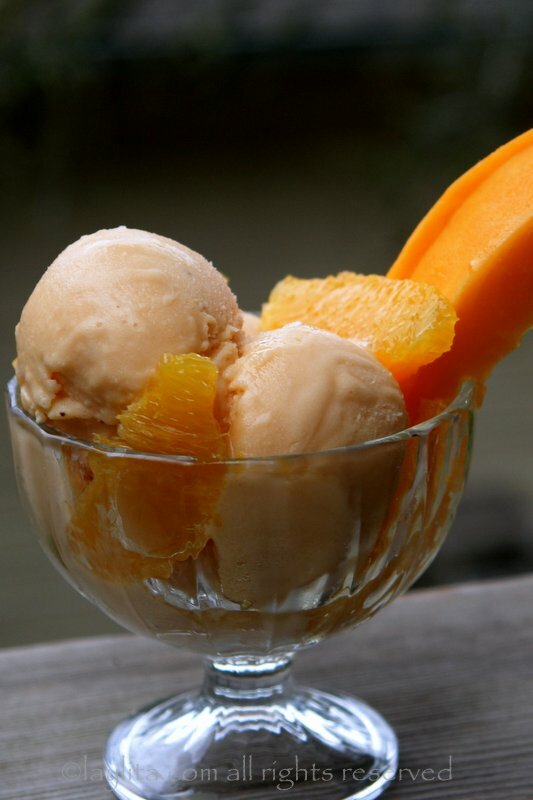 For this frozen yogurt recipe, I added some freshly squeezed orange juice to give it a citrusy hint. I used whole milk yogurt, but 2% or low fat will also work. 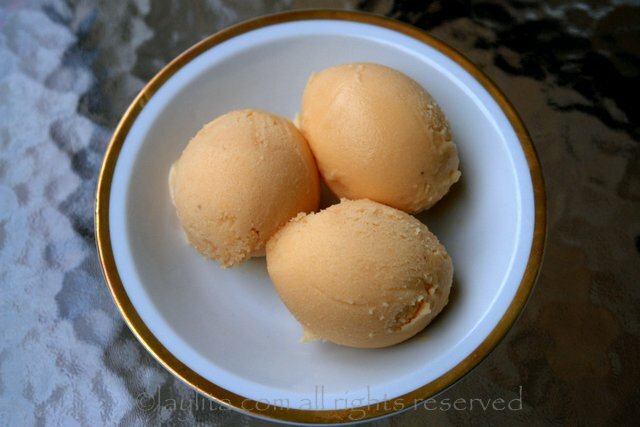 Also, if you’re not a fan of frozen yogurt, you can also make this papaya banana ice cream using heavy cream instead or a mix of cream and milk. 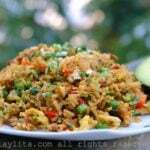 This looks healthy and delicious, going to try :) We have plenty of papaya, banana and mangoes in Brazil.